If you can’t increase the size of the farm, the only way to boost production is through better, more effective treatments to maximize crop yield. Aerial application services can help. Using an experienced agricultural helicopter service can drastically reduce the time it takes to perform any crop application from fertilizers to chemical treatments, even pest or disease control Aerial application in Oregon. FairLifts works with a network of professional operators in Oregon - and around the country - that can provide these expert services quickly and efficiently. We’ll handle all the arrangements, answer questions or provide quotes. We’re always a phone call away. With more than 38,000 farms throughout the state, Oregon’s agricultural prosperity is vital to the economy. As a top domestic producer of more than a half dozen crops including blackberries, rhubarb, cranberries, hazelnuts, and more, Oregon's farming success is important nationwide. Aerial application services offer farmers a way to increase crop production without increasing farm size. 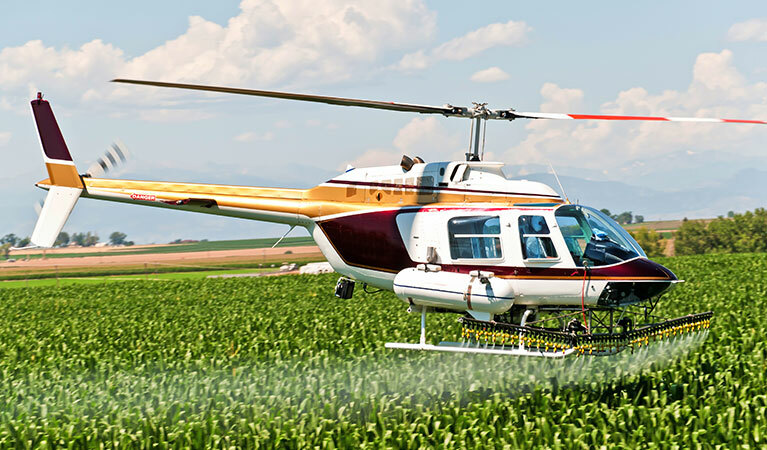 Properly equipped helicopters with experienced pilots can apply all the “crop-dusting” treatments traditional ground equipment can apply but can do it much faster and without any soil or crop damage from rolling ground equipment through the farm. Any agricultural treatment that can be done from the ground, can be done faster from the air. 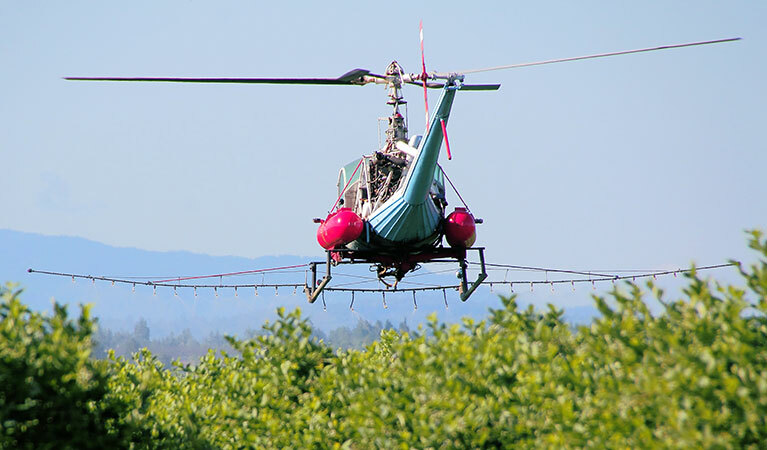 Take advantage of the speed and effectiveness of aerial applications and ensure the fastest possible response to pests or disease, applying timely fertilizer treatments, during Aerial application in Oregon. Timing is everything when it comes to crop treatments and there’s simply no better way to save time than through aerial applications. Whether it’s seeding, watering, or fertilizer applications, helicopters can make quick work of any job, regardless of farm size or terrain. And when it comes to applying fungicides or pest control treatments, quick applications can make a huge difference in crop health, yields and ultimately, profits. Aerial applications help maximize agricultural production. Nothing keeps a farmer awake like the thought of an infestation of gypsy moths, or Japanese beetles or a myriad of other pests munching away on precious crops and eating into potential profits. Helicopter applications provide the fastest way to apply any treatment options (larvicides, adulticides, etc.) 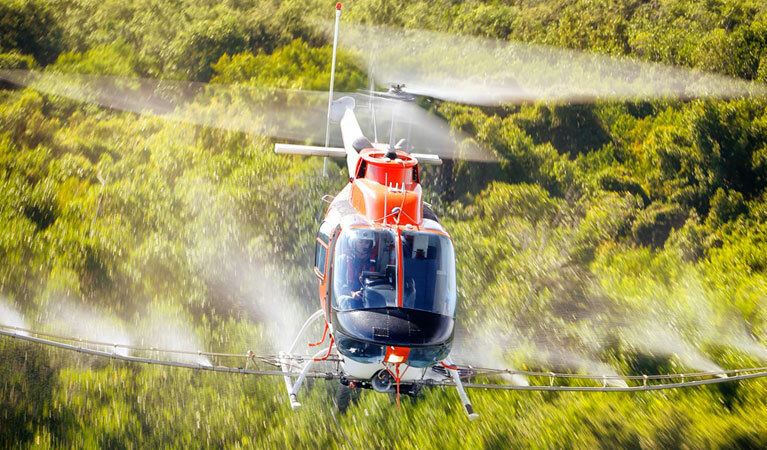 and the helicopter’s natural “rotor wash”, or downdraft of air from the propellers, ensures the treatments get pushed down into the crops properly to ensure best results. Brush and weed control is a constant struggle for all farmers, and Oregon farms are no exception. Using aerial application services can help make quick work of any weed or brush treatment, regardless of terrain. 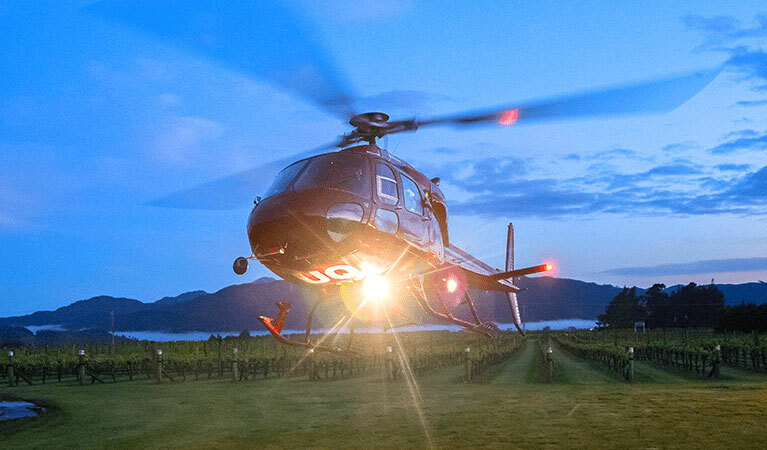 Helicopters are especially effective in hard-to-reach sections of farms, in rolling hills, following along farm borders or around environmentally sensitive areas. Help ensure precious soil nutrients feed crops, not weeds, with aerial application services. Farmers in the Pacific Northwest are no strangers to frost, but helicopter services can help. And the thing about a lot of frost events is you don’t get a lot of advance notice and time to prepare. Helicopters can quickly mobilize and preventatively spray crops - especially Oregon’s prized fruit crops - to help prevent or minimize frost damage and protect crop yields. Plus, the helicopter’s rotors push higher-level warm air down into crops for better insulation. At FairLifts, we work with only the best helicopter operators throughout the state and country. Our expert customer service representatives are available 24/7 to assist you, answer questions, give prices, or arrange aerial application services. Simply call or use the contact form on our website.